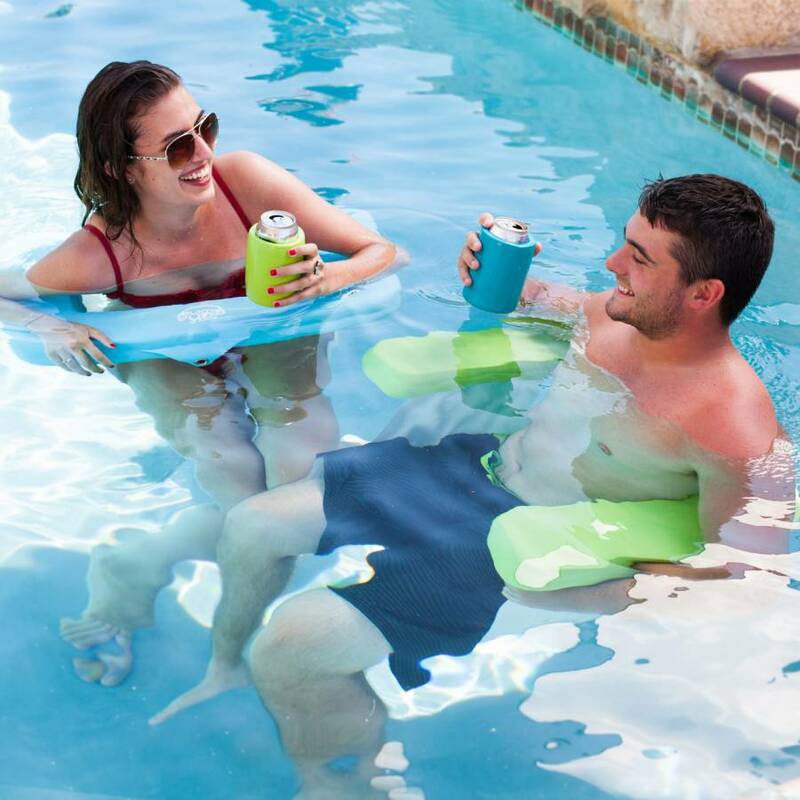 The Aqua Swing Pool Float is a U-shaped chair with durable vinyl fabric-sling seat. It has an exclusive reinforced internal steel frame which gives extra support, strength and comfort. It will support an average size adult comfortably. The Aqua swing measures approximately 26" x 24" x 3-1/2". It is available in either Aquamarine or Kiwi. It also has a brass grommet for easy hanging storage. TRC Recreation features highly productive factories and warehouses located in the United States that keep the company in step with production and manufacturing demands. Through integrity and patented innovation, the company is recognized as an industry pace setter.